Lifelong guidance for learning to change the way we relate to the scary and difficult moments of our lives, showing us how we can use all of our difficulties and fears as a way to soften our hearts and open us to greater kindness. We always have a choice in how we react to the circumstances of our lives. We can let them harden us and make us increasingly resentful and afraid, or we can let them soften us and allow our inherent human kindness to shine through. 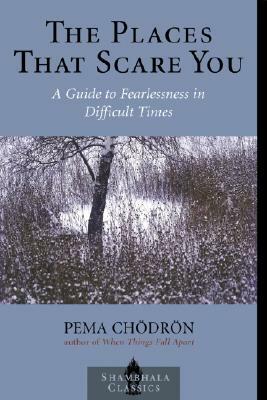 Here Pema Chödrön provides essential tools for dealing with the many difficulties that life throws our way, teaching us how to awaken our basic human goodness and connect deeply with others—to accept ourselves and everything around us complete with faults and imperfections. She shows the strength that comes from staying in touch with what’s happening in our lives right now and helps us unmask the ways in which our egos cause us to resist life as it is. If we go to the places that scare us, Pema suggests, we just might find the boundless life we’ve always dreamed of. Pema Chödrön is an American Buddhist nun in the lineage of Chögyam Trungpa and resident teacher at Gampo Abbey in Cape Breton, Nova Scotia, the first Tibetan Buddhist monastery in North America. She is the author of numerous best-selling books, including When Things Fall Apart and Living Beautifully.